A-list celebrities such as Manchester United footballer Wayne Rooney and pop sensation Lily Allen have played at our centres in the past. Will you be the next VIP through our gates? Find yourself in the heart of the action as you discover our world class, Hollywood-inspired movie set game zones - complete with props from genuine silver screen film sets! Paintball UK is a five star accredited member of the UKPBA (the largest paintball governing body in the UK). Our centres also offer full liability insurance for your peace of mind. Paintball UK offers great value paintball days for kid's birthdays, stag and hen parties, work team building events and more. Whatever the occasion, we've got it covered! Our fun packed kids' paintball days are designed for children aged 10-17. For children aged between 8-10 please see our mini paintball page. 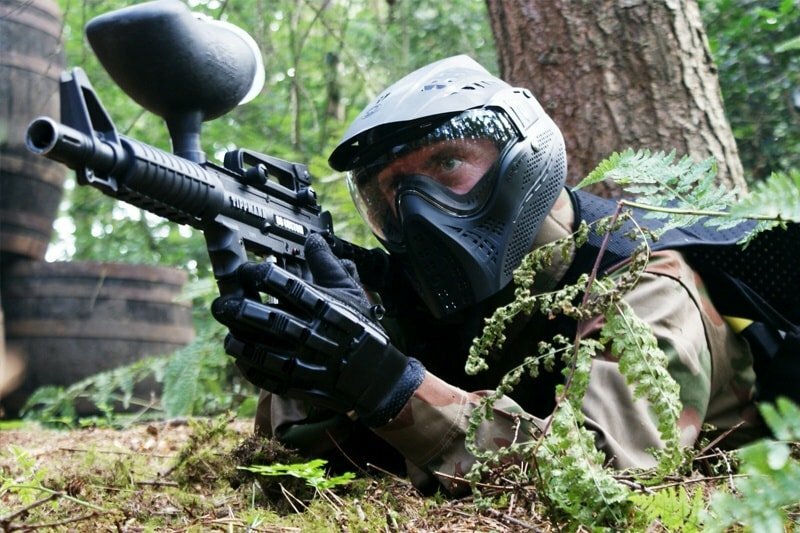 All adult groups are welcome at our UK paintball centres. From stag & hen dos to team building exercises and birthday parties – we cater for everyone! We understand how stressful organising a stag or hen party can be, so why not let us do all the hard work? Just don’t forget your fancy dress costumes! Whether you're a corporate office, a sports club or a retail outlet – we can tailor the perfect team building experience for you. Paintball is a great way to build confidence, form relationships and promote key values. Why not read more to find out about our School & Youth days? Paintball.co.uk offers great value paintball days for kids, stag & hen parties, team building events, birthdays and much, much more. Whatever the occasion, we've got it covered!